It’s imperative to set a budget before getting too far ahead of yourself in the planning process. The last thing you want to do is overspend and wind up dipping into your wedding funds. So as you decide on details such as food, venue, and other logistics, choose an amount you can easily afford. Most bridal showers take place about two months before the wedding. 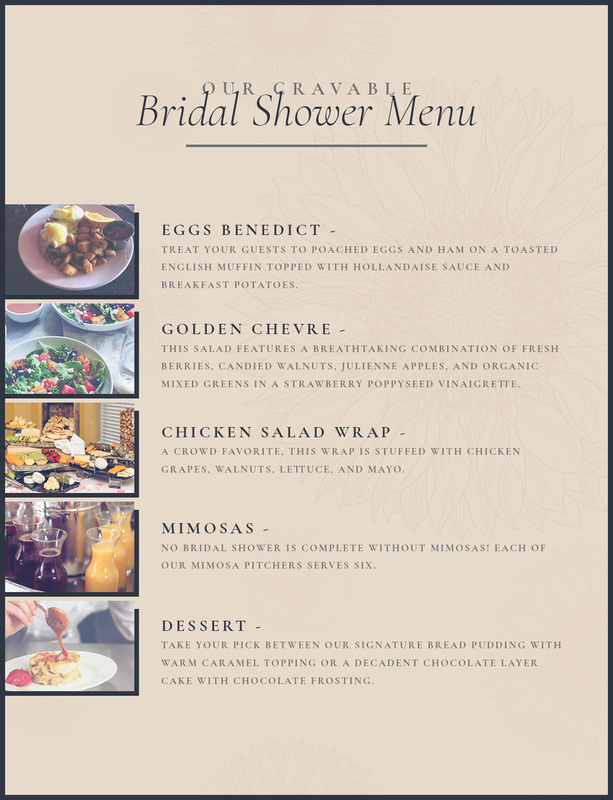 So if you’re in charge of planning the shower, make sure you select a day that works for the bride-to-be and her close family members and friends. Once a date is finalized, you can get started with the guest list. These might be the most important steps of the process. When it comes to picking a theme, your best bet is to stick with something simple. Think of a theme as a way to add some uniqueness and personality to the event. In terms of location, our caterer recommends holding the shower at either a nearby venue or house. Guests appreciate as much notice as possible regarding the bridal shower. In a perfect world, you should try to send the invitations about six to eight weeks in advance. Should you procrastinate with this, the shower might not be well-attended. This is where the real fun starts. Now that you’ve taken care of details such as when and where the shower will take place and who all you’re going to invite, you’re ready to plan the menu. Our advice? Play it safe with delicious breakfast foods you know the bride and guests will enjoy. Remember that whatever menu you come up with should be easily served. This is where you can let your creativity run wild. As you probably already know, there are countless ways to transform a house or venue into a stunning bridal shower destination. Just don’t go overboard with the decorating and have your budget in mind as you shop. Once everyone has finished eating and come to a stopping point with games, it’s time for the bride to begin opening gifts. Do the guests and the bride a favor by keeping gifts organized in a designated area. One more idea here is to record which gift is from which guest. This will help make writing thank-you cards much easier down the road. Now that you have a better idea of how to plan your bridal shower, it’s time to book a venue. 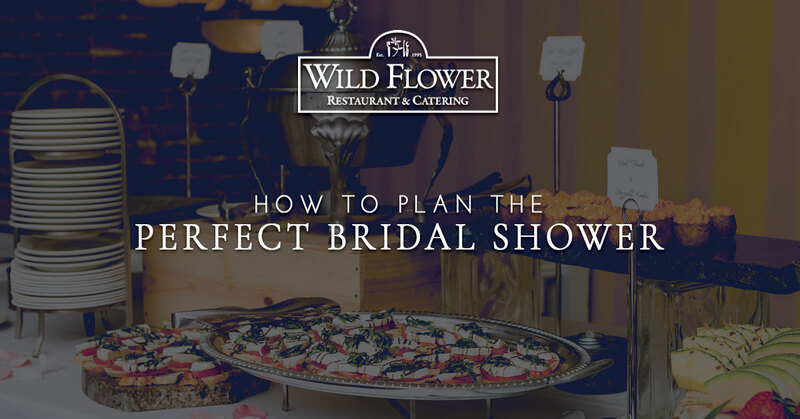 At Wild Flower Restaurant & Catering, we have everything you need to make your event memorable, from custom menus and decor to delicious dessert options and favors. Hiring an experienced bridal shower caterer will also help you relax and actually enjoy the event rather than fret over the planning. Contact Wild Flower today to learn more about our St. Louis catering service.